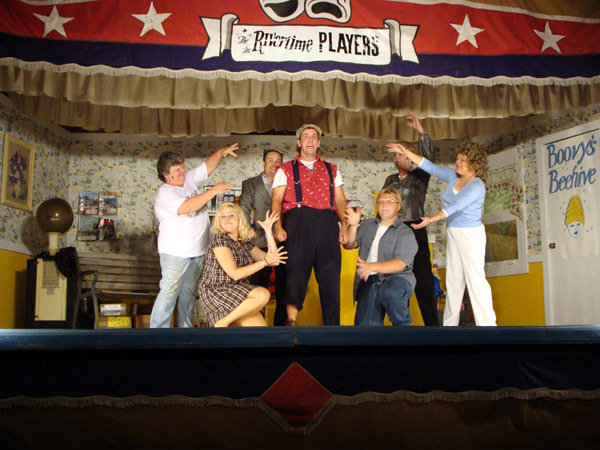 The Rivertime Players are a group of volunteers in Parsons, TN who strive to provide a community-based performing arts organization for the purpose of presenting dramatic and musical theatre; present quality family entertainment; create opportunities for children and adults to develop talents in all aspects of theatre arts; and to foster, promote, and increase the public knowledge and appreciation of the performing arts. The Rivertime Players were formed when Dr. Dawn Larsen donated to the Parsons Arts Council the last remaining repertory tent show in November 2006. The Rivertime Players are now caretakers of a historic cultural asset that can trace its roots to its founding 116 years ago. The Toby Show is produced in September and October annually. Other productions are staged as time and space allow. At this time we do not post a season. We hope to do so when a permanent space becomes available. Central to our mission is preserving and continuing the repertory tent theatre experience. CLICK HERE to visit the Rivertime Players website for more information.